I had the opportunity to inspect Holland America Noordam earlier this year for a few hours and this is what I saw. My first impression of Noordam is that she exudes an ambience of elegance and sophistication. Built in 2006, she is decorated with a strong and contrasting colour scheme, velvety type furnishings and wooden framed furniture. Many beautiful artworks hung on the walls and fresh flowers adorned the corridors and restaurants. We were told that in September 2019 the ship will undergo renovations, but still keeping the elegance feel. 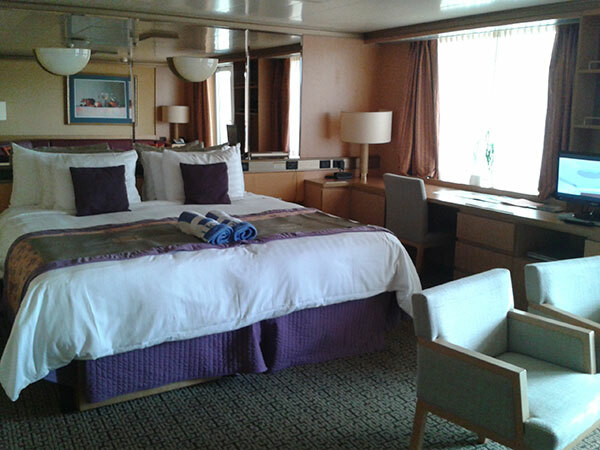 As time was a limiting factor, we saw only one cabin, the Neptune Suite which features a king size bed, large sitting area, floor to ceiling sliding door and a big balcony. For the price of this suite, it certainly promises luxury and comfortability. We then checked out the many dining options onboard. 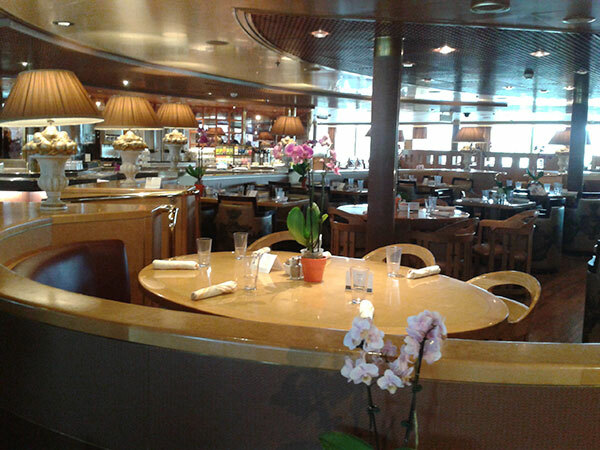 Firstly, there was the Vista Restaurant which is a multi-levelled main dining room. It is open for breakfast, lunch and dinner. Here, we were spoilt with a 5 courses lunch ranging from appetisers of prawn cocktail with garlic aioli, spicy tomato soup to salmon or fillet mignon and decadent chocolate desserts. The attentive wait staff added to the enjoyment of this sumptuous meal. Other restaurants visited were the Terrace Grill which is a self-service burger bar and is open for lunch and dinner, Canaletto, an Italian restaurant with a selection of offer which includes antipasti, soups, salads, pasta and dessert. We also saw the Lido Restaurant which offers self-service Italian, Asian, ice cream and burger bars. It is open for breakfast, lunch and dinner. 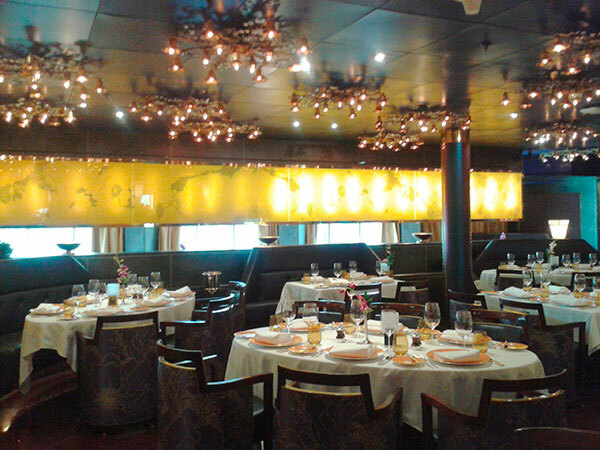 Lastly, we saw the elegant Pinnacle Grill which is a beautifully themed fine dining restaurant. Reservation is definitely required to experience the fine cuisine. From here, we toured the wide selection of lounges onboard. Although we saw only a few, they were quite memorable. 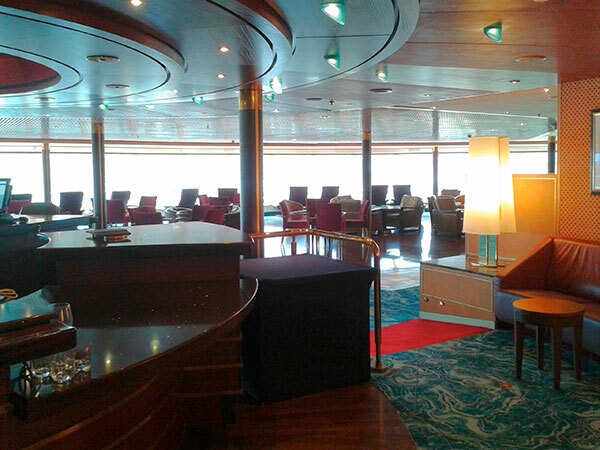 We visited the Crow’s Nest at the top of the ship which has 180 degrees panoramic views, the Piano bar with live sing-along piano playing, Sports Bar and Exploration Café which is the ship’s library and internet room where specialty coffee can be purchased. 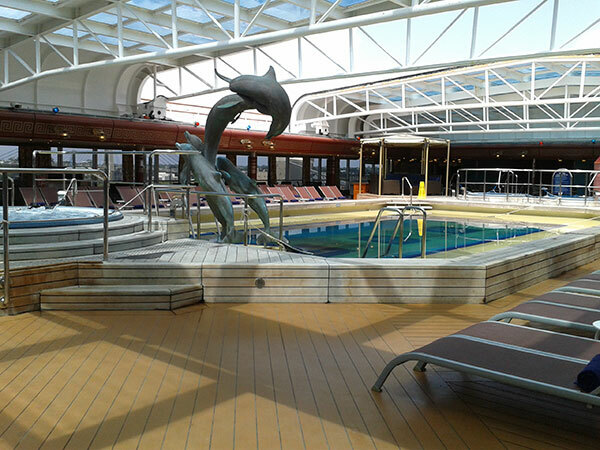 Most ships boast about their onboard entertainment and activities, Noordam has quite a few to showcase. We visited America’s Test Kitchen which offers live cooking shows and hands-on workshops. Sadly it was closed at the time of our visit. Our next stop was the B.B. King’s Blues Club. Here, The BB King’s All-Star Band performs live blue songs for lovers of this music genre. For classical music lovers, there is the Lincoln Center Stage. We were told that actual musicians from Lincoln Center perform chamber music here. It would be a great treat to hear these talented musicians perform. The last entertainment area we visited was The Mainstage which showcases a variety of performances nightly. An activity area we quickly strolled through was The Casino, also cheekily known as the “donation centre”, offers a variety of games for all levels. Truly a spectacular day. I will be back soon! I had the opportunity to inspect Holland America Noordam earlier this year!